Bristlecone’s Fundamentals Defensive Focus Shooting course is different than other traditional firearms training classes. For example, researchers have shown that our heart rates, vision, and balance are all affected when we’re faced with a fight-or-flight scenario, and we’re don’t get a do-over if we are ever tested in real life. How do you train to be combat accurate with a firearm under duress? The Defensive Focus Shooting curriculum begins to address that training need. An introduction to understanding the body’s natural reactions to a Dynamic Critical Incident and the integration of movement. Range appropriate clothing (No shorts or open toed shoes). Registering in advance for Fundamentals of Defensive Focus Shooting is required. There are no firearms educational requirements for before taking this course, but most successful students have had some firearms experience in the past – whether it’s basic practice on the range or a concealed carry class. 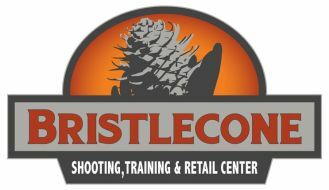 To register for the Fundamentals of Defensive Shooting Focus or to learn more about indoor shooting and shooting classes and events, visit Bristlecone at https://bristleconeshooting.com/ or call 303-985-0989.